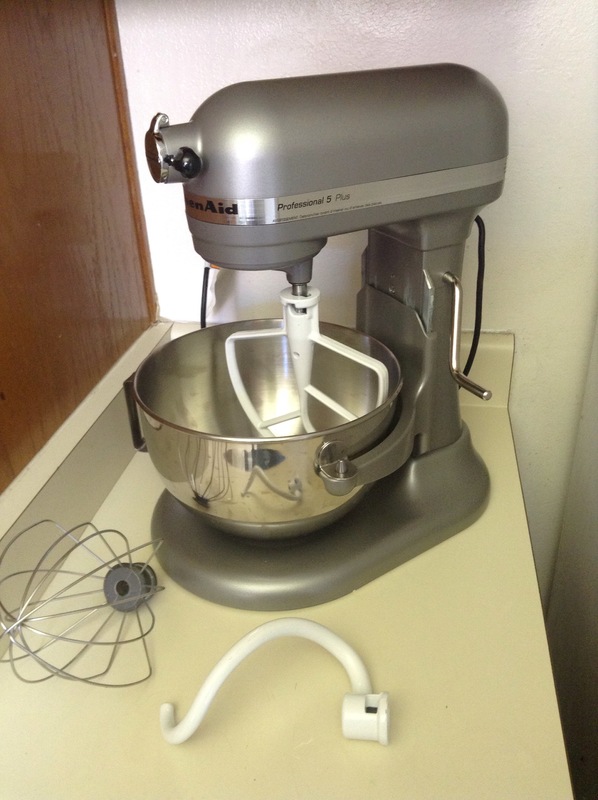 You can now add me to the fan list for the Kitchen-Aid mixer. I had so much fun making all the baked goods last Saturday. 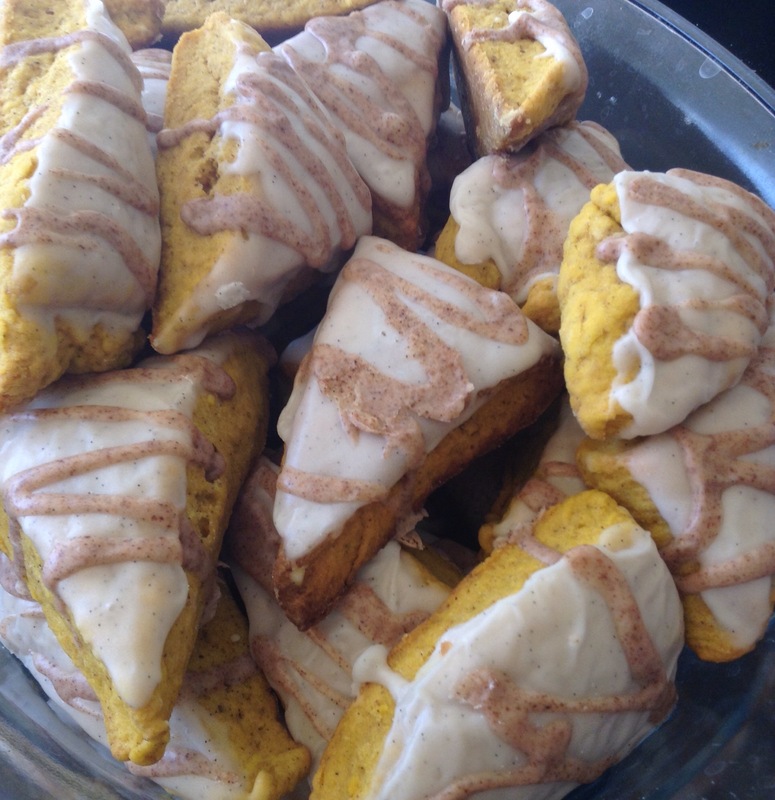 One of the most popular goodies that was made was the Copycat Starbucks Pumpkin Scones. They were moist and flavorful. You can find the recipe here. If you like pumpkin anything, I truly believe you will love these. My birthday was on Monday. It went by without too much fanfare, just the way I like it. I did treat myself to something I have wanted for years. After taking the criossant class I wanted one even more. It came Friday and I couldn’t be happier. Let the baking begin. I will share what is being made in another post! 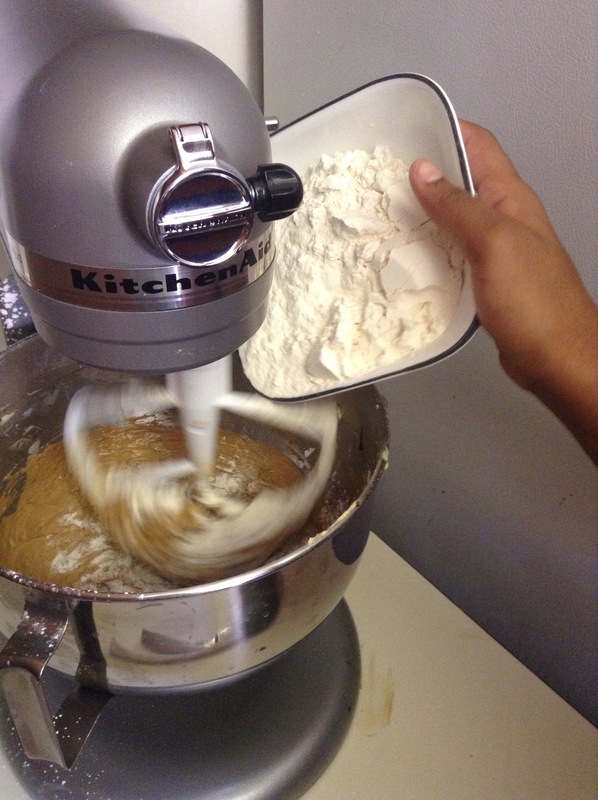 What is your favorite recipe that you use your mixer for? 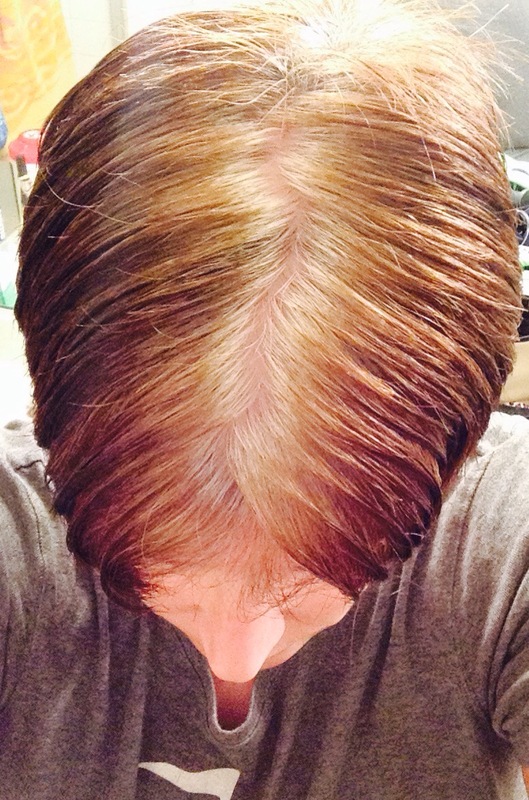 As I mentioned in an earlier post I’m growing out my hair. No more color. I’m in the midst of the awkward stage. If you look at me just right you can see all my grays peeking through. Those who don’t know me give me funny looks at my head. You know the ones, they look at you in your eyes and then look at the top of your head as you’re talking to them. I’ve been on Pinterest seeing how short I’m willing to go. I think I have about 1-2 months before I can even think about chopping it all off. I made this recipe (from Pinterest) the other night and wanted to share it with you. 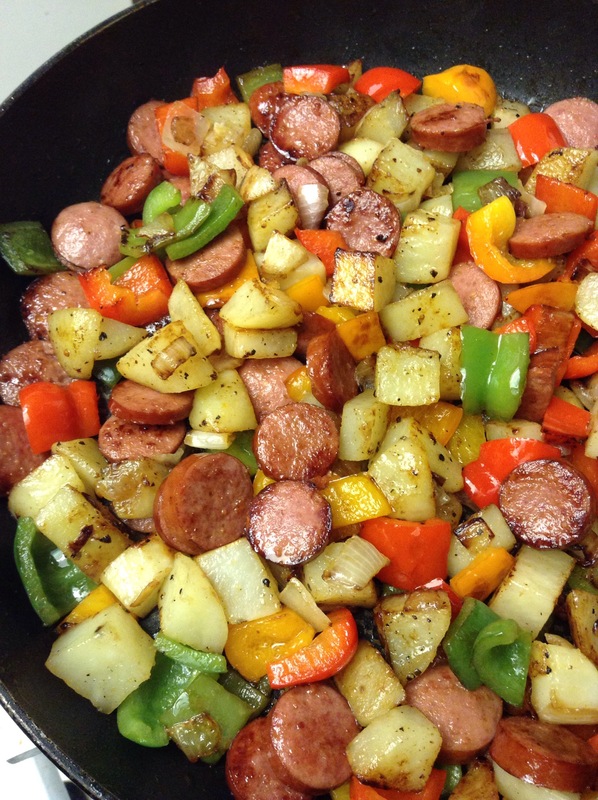 I added more peppers than what was called for, and I also transferred my potatoes to a bowl and used the same pan to cook the rest of the ingredients. Super fast, easy, inexpensive, and edible. It made enough for me and two teens. Yup, they ate it up too. This is my picture, but hers is much prettier. How big is your biggest hook? I’m usually not one to go for an impulse buy, unless it’s on sale or clearance. Okay so I do impulse buy. But today my buy was really unexpected. So I’m perusing the yarn isles at the craft store looking for yarn for a blanket. I think I went up and down those two isles at least 5 times. Looking for the right yarn, and the right color. Making sure they had enough skeins in the same dye lot. I know you’ve been there. Then it caught my eye. How did I miss this the last 4 times I went down this isle. 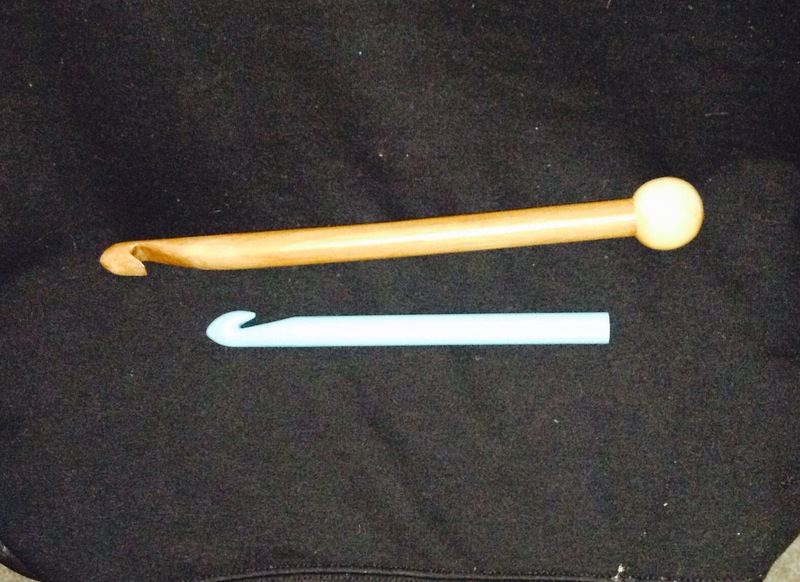 There it was, a huge wooden crochet hook. What? Where has this been my crocheting life? These really exist? How could I have never seen this before? I had to have it. What would I use it for? What will I make with it? Who knows…just buy it. I still have no idea what I’m going to do with it, but it’s all mine. Anybody out there have a 19mm or bigger hook? Tell me, show me what you’ve done. This is it next to my Q hook. I wanted to share a recipe with you as well. I found this roast recipe on Pinterest. I made it a couple of weeks ago and it was absolutely wonderful. 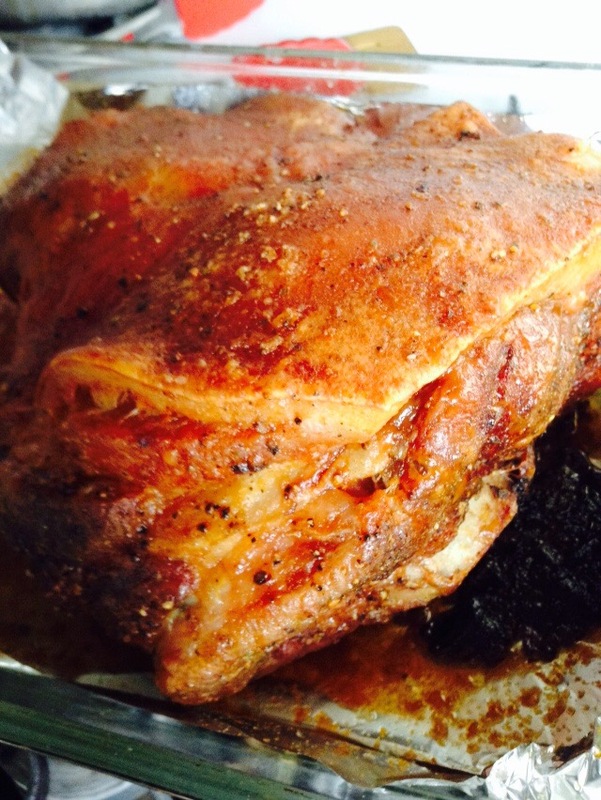 It takes an inexpensive cut of meat and cooks it at a low temperature for several hours. What you get is a tender juicy roast. Here is mine after it was done. It was easy, and made enough for several meals. If you try it let me know how you enjoyed it.